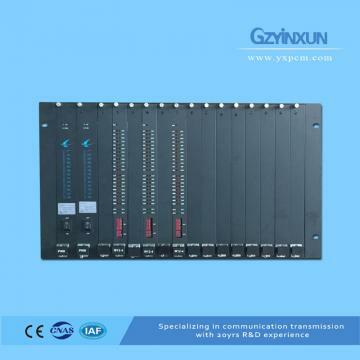 ZMUX-1200 can be installed to the local side to realize point-to-multipoint E1 protection applications,or a set of local and remote installations to achieve point-to-point high-capacity E1 protection applications. 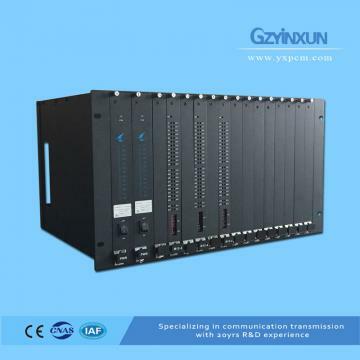 The ZMUX-1200 consists of a chassis, power card, and E1 switchboard. The chassis adopts a standard 19-inch 6U high and plug-in structure.There are 16 board slots, including 2 power card slots and 14 E1 switch board universal slots. Optional: 8 in 4 out E1 switching card, 4 in 2 out E1 switching card, maximum up to provide 56 channel E1 signal automatic protection function. 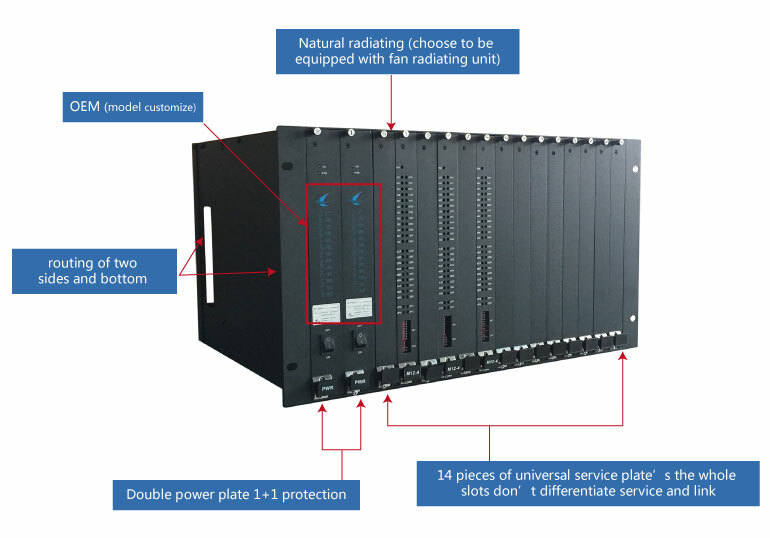 * with a distributed structure, each E1 switching board works independently, and the faults do not affect each other. 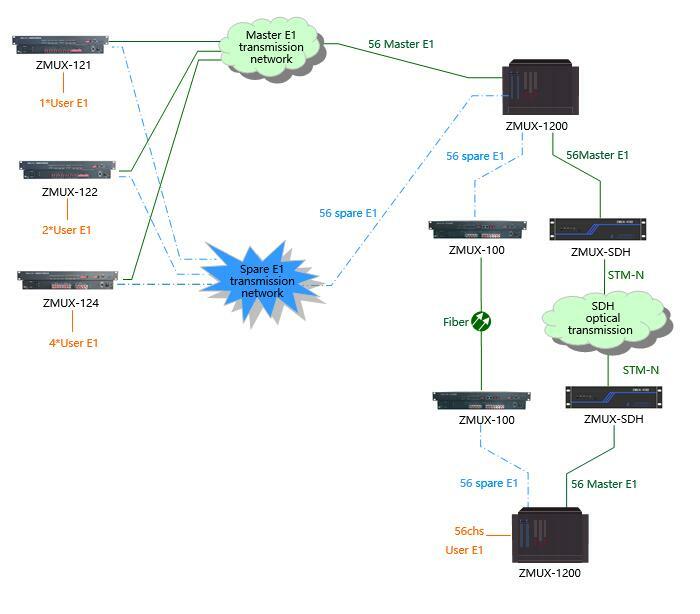 * support centralized network management monitoring function,it can monitor device configuration information, transmission link status, link protection status, and user interface status of the entire network.